Melissa Kelly is the junior captain and forward for the Rowan University women’s soccer team. After a scoreless tie in regulation, Kelly scored the brown and gold’s first of four penalty kick goals en route to a New Jersey Athletic Conference semifinal victory over Montclair State on Nov 2. In addition, Kelly was one of four Profs selected to a NJAC All-Conference team last year. According to the Parsippany, New Jersey native, Kelly has “always played” soccer and can remember starting as young as 5 years old. 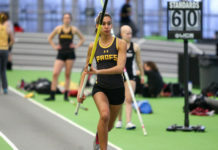 She began her high school career at Parsippany High School, but played at DePaul Catholic High School in Wayne, New Jersey, during her junior and senior year. Kelly has also played for several travel soccer clubs including Match Fit Academy, Players Development Academy and most recently, TSF Academy. When choosing a college, Rowan was a sure fit for Kelly because of its sports program, size and distance from her hometown. Melissa’s older sister, Tiffany, was a junior forward during the younger sister’s freshman year. The opportunity to play alongside her sibling was too good to pass up. Kelly’s No. 1 support system is her family; she draws most of her inspiration from her parents, especially her mom. According to the junior, a large part of her success comes from the sense of community fostered by being part of a team. The women’s soccer team finished the season with a 16-2-2 record. Kelly attributes much of her team’s success on the field to their hard work in training, more specifically, 7 on 7’s. The drill involves two teams of seven playing against each other on half of a soccer field. According to Kelly, the drill takes a “maximum effort” on the team’s part, and sets a high level of intensity for their next game. After she finishes at Rowan, Kelly hopes to attend physical therapy school and continue her soccer career by playing in a league after college. 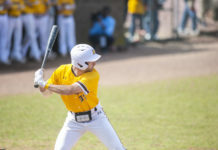 This past season, the brown and gold won their second straight NJAC championship and advanced into the Division III NCAA Championship Tournament. Although they lost in the first round to Christopher Newport, Kelly knew the moment was still important.